Living in this hectic city, there are times where you wish that you could escape this fast paced life and just relax. However, time is not on your side. If you only have a few days to spare but in need of a getaway, why not head over to Batam which is just 45 minutes away from Singapore. Parents, if you are scratching your head because you forgot that the March holidays is here, don’t worry, Batam is here to save your day! There are quite a lot of deals available online. If you love to travel in groups and have no plans of exploring Batam on your own, you can purchase the deals online. Do take note of the hidden charges of $27. Usually, it does not include in your deal package. So do read the fine print. Last weekend, a group of friends and I went to Batam for 2 days 1 night. As I was searching for good deals, I saw that there was a deal for ferry tickets. Instead of paying $48, we only paid $38. Before purchasing anything, it is best to look out for reliable deals online because this can help you save money. We opted for free and easy instead of tour package because we want to do our own things. Before the trip, we hired our own driver. It is best to hire a driver before you arrive and especially great if you hire someone who you can trust in a foreign land. If you would like to hire a driver, I can give you his contact. We also pre-booked an apartment on agoda.com. As shared earlier, if you want good deals on booking of hotels, you visit these websites. 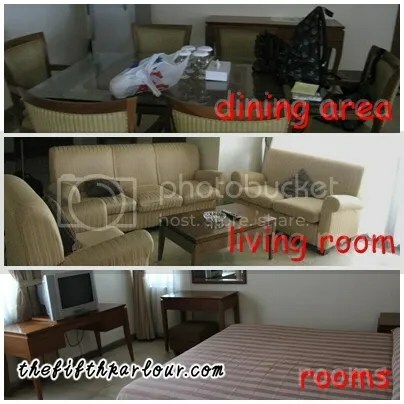 We booked a three room apartment which is within the hotel. We set off from Singapore at 8.50am. As soon as we reached Batam, we were greeted by our driver. We traveled by bus, the school bus kind where it can fit more than 10 people. It is really spacious since our group consists of only 10 people. 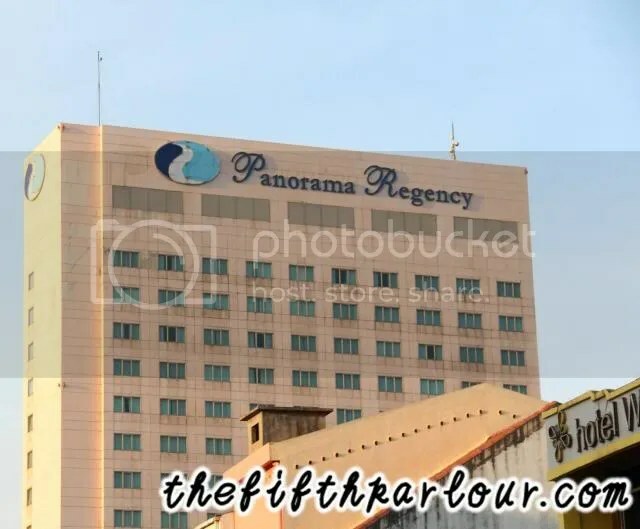 We went to our hotel, Panorama Regency Hotel, to drop off our bags before exploring the city. As soon as we were free from our big bags, we head down to Nagoya Hill to have our A&W. Yes, A&W. You cannot find this in Singapore. 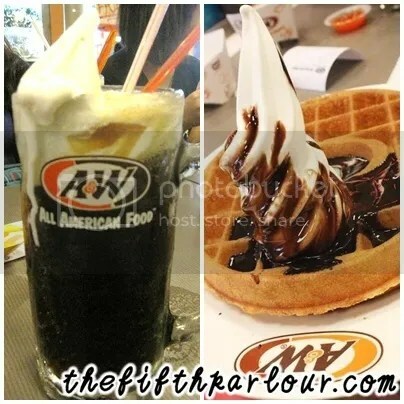 Can A&W come back to Singapore please? I need my Root Beer Floats and the curly fries. After that, the group split. Some of us went for massage while the rest went for shopping. At Nagoya Hill, you can find almost anything you want. It is one of the biggest shopping centre around. My friends went crazy buying Indo Mee while some bought toiletries. Instead of shopping, I went for a massage. There are a lot of choices around Nagoya Hill. I went to Eska Wellness Spa Massage & Salon. This is my second trip here. This is one of the most popular spa amongst Singaporeans and they even included Singapore Dollars on their package. If you are looking for a message and a facial, this place is for you. My package includes a full body massage, a foot massage and a facial and it only cost me $35. There are a lot of other packages for your hair and nails too. This place is a one stop centre for beauty. After 2 hours of pampering, it is time for lunch. 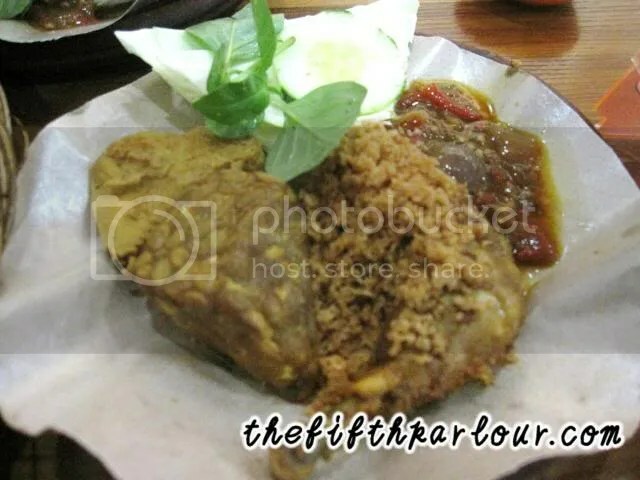 We wanted to try Indonesian food and decided on Ayam Penyet Ria. You can find Ayam Penyet Ria in Singapore too. Please do not expect the same kind of dish being presented to you. Just look at how small the chicken is. It is really small. We were really shocked when the dish was sent to us. But hey, on the bright side, it only cost us SGD $1. We then headed to our hotel to check in. It is really spacious and I like how we all can gather at the living room. It is a great place for a big group. If you are looking for a place to stay, I would recommend this hotel. However, if you are looking for a hotel with a lot of facilities, this hotel is not up to the standard. Panorama Regency Hotel offers limited facilities. Our hotel is located just 5 minutes away from Nagoya Hill if you travel by transport. 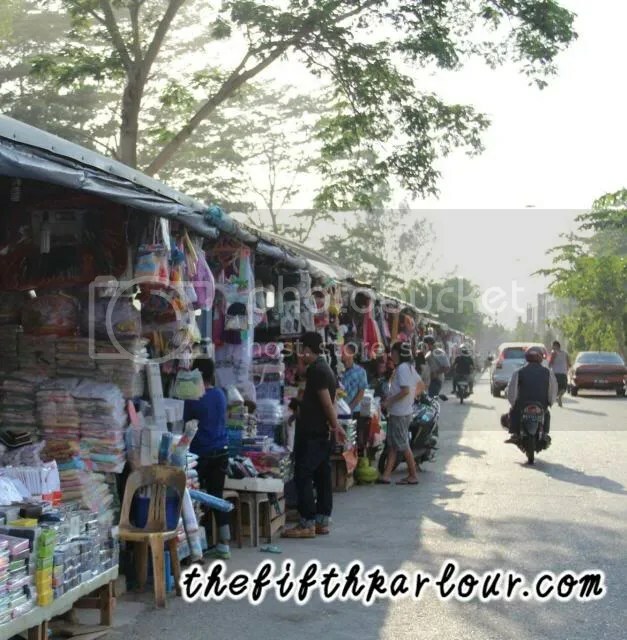 The hotel is also surrounded by street stalls or some may called it pasar malam. You can find street food and clothings there. Just some word of advice while shopping there, please take care of your belongings. Please sling your bag and put it in front instead of back. If you put your phone or wallet inside your pockets, it is advisable to put it in your bag because these pick pockets can just knock into you and in an instance, your belongings will be gone. The sun goes down, the stars come up and it is time for dinner. We went to Wey-Wey Live Seafood Pacific which is just nearby our hotel. 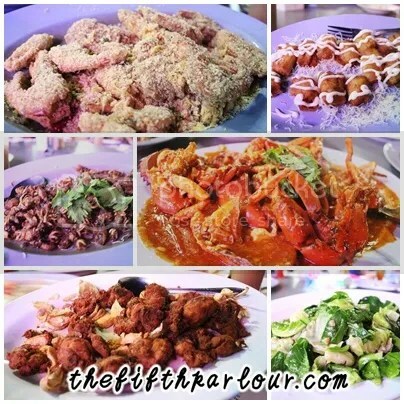 It is by the sea which is really a great environment eating seafood under the stars. We ordered a total of 7 dishes including two fried fishes which were not on the picture above. Sadly, the food was not up to standard. The quantity is very little and there was not much taste to the dishes. For example, the paste of the Chilli Crab tasted like tomato not even a pinch of chili was present. It costs us around SDG$100. On the last day of the trip, other than shopping for more stuffs at the hypermart, we decided to do some water activities. Our driver told us there is a place just 20 minutes away from our hotel that provides these service. 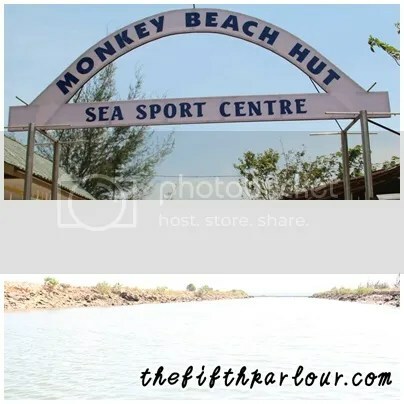 At Monkey Beach Hut, you can do parasailing, canoeing, wakeboaring, banana boat and other water activities. 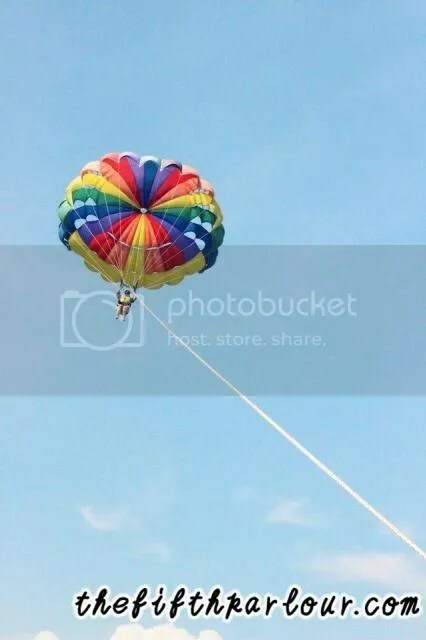 I tried parasailing since it is in my to do list. I have always wanted to try parasailing. It cost me around $38 if I remember correctly. I was really nervous at first because I do not really know what to expect. There are so many what ifs in my head. When it was finally my turn, my reaction shocked me. At first, you will feel excited and scared but when you are up there and there is nothing much to see, you will then feel bored. Since it was a last minute decision to do water activities, we had no choice but to go ahead with the location suggested. There was nothing much to see other than the water honestly. I feel if you want to do water activities, it is best to go the resort because the environment there is for sure better than this. Overall, it was a great experience. I believed it is a suitable getaway if you are looking for somewhere to relax and just let loose. You will not experience jetlag and it is just 45 minutes away from Singapore. Also, the things in Batam is quite cheap just that you might experience headaches when counting and converting the money to SGD. Opt for free and easy trip so that you can do whatever you want even at the very last minute. The tour package always being you to touristy places and you cannot really explore much. Hey! I’m so sorry I’ve lost his namecard.